Aikat BK. Obituary. 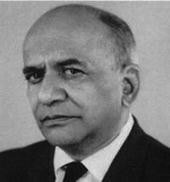 Vasant Ramji Khanolkar born 13th April 1895. Founder President of Indian Association of Pathologists. Indian J Pathol Microbiol. 1979; 22: preceding 1.